Turkish Politics in Action: Enter Kilicdaroglu: Toward a New CHP? Returned again from Diyarbakir, I spent yesterday in Kocaeli listening off-and-on again to the CHP's party congress on the radio. 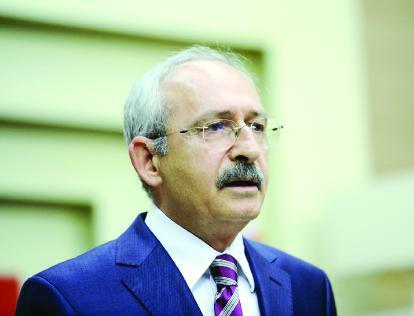 A civil servant who served for years as a public accountant, newly-elected CHP leader Kemal Kilicdaroglu made his name by becomng one of the CHP's most aggressive top party members when it came to attacking corruption scandals within the AKP. In his speech yesterday, Kilicdaroglu talked on corruption, as well as issues of poverty and unemployment. Though the party platform has changed little, Kilicdaroglu has replaced three-fourths of the CHP's Party Assembly's 80 members, removing many members close to now fallen Baykal and causing many to speculate that the CHP is in for big changes. This may well be wishful thinking, and only time will tell, but the exuberance in the leftist press is likely to keep Kilicdaroglu and talk of a "new CHP" in the news for the next week. Other Turkey goings-on are falling a far distant second in the news cycle, all eyes instead focused on a constant stream of punditry as to just what the new leader means for Turkish politics and the CHP in coming 2011 parliamentary elections. Might the AKP be forced into a coalition with the CHP? And, might Turkey finally have a reasonably powerful social democratic presence in party politics, becoming more than the "party of no" that frustrated even the most entrenched AKP opponents during the Baykal years? The enthusiasm definitely evinces people's frustration with the CHP over the years and a yearning by many people for a strong alternative. Whether the CHP will live up to expectations is another question altogether, but at the moment, the sheer fact that so many seem hopeful that a renewed CHP might bring about change spells out just how much people have wanted change and just how deep the frustration with Baykal and the CHP's "party of no" politics has been in recent years. For some past analysis on the CHP and Baykal's former iron-clad hold over the party, see my analysis following the CHP's 2008 party congress, as well as this broader take on the state of the Turkish left. The CHP's politics in recent years have indeed been so centered in being in the opposition, in addition to emphasizing Turkish nationalism over democratic socialism, that the party has often found itself facng condemnation from the Socialist International (for example, see July 25 post). Since I wrote this, disenfranchisement with the AKP among liberals and leftists has only continued to grow, oftentimes alongside fears of what many read here as the party's attempts to consolidate its hold on power -- the reason why many who would under other circumstances not be opposed to the judicial reform promised by the constitutional amendment package strongly opposed the AKP's efforts this spring, an opposition al the mroe heightened by the AKP's conducting of the Ergneekon investigation and seemignly self-interested attempts at self-preservation (for example, its exclusion of reform of the 10 percent threshold and failure to adopt the Venice Criteria for party closure in the reform package). Under these circumstances, a truly re-generated CHP has an even better chance of attracting voters than it did two years ago. What the future holds is almost anyone's guess, but right now many are just simply enjoying the prospect of change. For more talk of Kilicdaroglu's election, see Milliyet columnist Hasan Cemal, who uses a comparison between former CHP leaders Bulent Ecevit and Baykal to delineate two different and divergent roads which the CHP under Kilicdaroglu might take. See also liberal Attilla Yayla's skeptical analysis, as well as Levent Koker's discussion within the context of the ongoing constitutional amendment process.